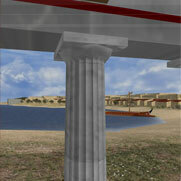 Architectural types of ancient Greek temples. Ground plan of a typical ancient Greek temple. Restored view of the wall-building of a Doric temple. Restored view of the wall-building of a Ionic temple. Restored view of the face of a Corinthian capital. 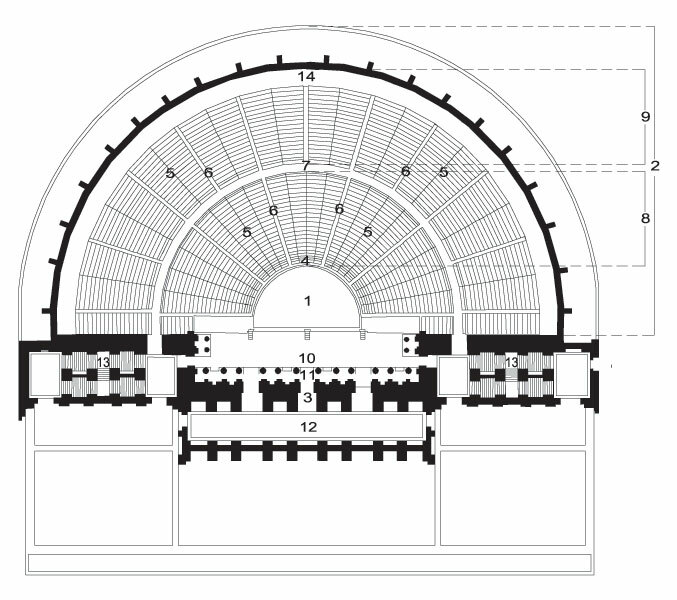 Ground plan of a Classical theatre. 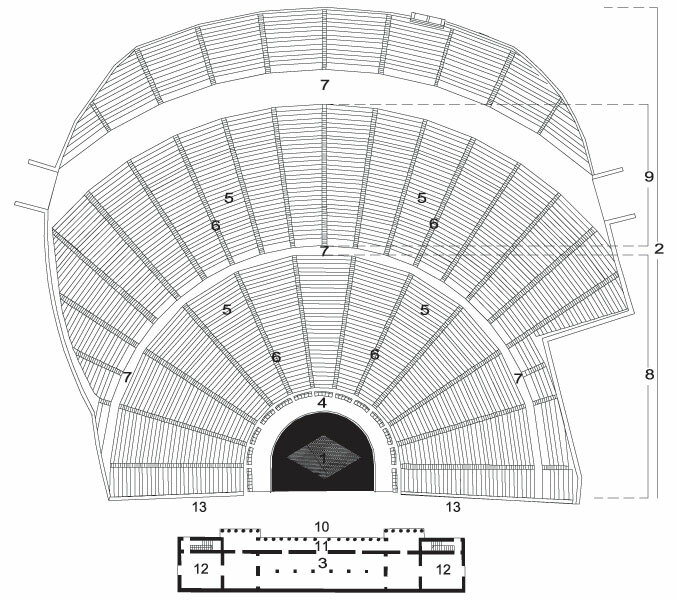 Ground plan of a Roman theatre.